“So then, because of them, he handed Him over to be crucified. Therefore they took Jesus away.” (John 19:16) Jesus was condemned to die. We speak properly of the truth that Jesus died for us. Jesus said about sinful people, “The son of man has come to seek and to save that which is lost.” (Luke 19:10) Christ dying in our place, as our substitute, is a key belief and teaching we hold. It is important for us to know that Jesus also stood condemned in our place. As Christ stood before Pilate and the Jewish religious leaders and was condemned to death. We also, in our natural state, as sinners, stand before God condemned to die an eternal death. If we stopped at that truth then we are hopeless. It is imperative that we understand that Jesus took our place. Yes, He took our place on the cross and He took our place in His trials. Indeed, He took our place in His condemnation. The Bible teaches us that the full results of sin are condemnation and destruction. “For the wages of sin is death…” (Romans 6:23). Christ was both condemned and His life destroyed, meaning He died and absorbed the wrath of God because of sin. In my natural state as a sinner, I stand before the heavenly court guilty, and left to myself condemned. I have no plea of my own merit before the holy God. It is foolish to think I would be able to argue with God over my sinful state. Before the pure God I would not be able to even utter a single word of plea. Here is where I need to see Christ standing in my place. I need to see the glory of God in condemning Christ on behalf of sinners. I think of this personally. His trial was my trial. His sentence was my sentence. His condemnation was my condemnation… by the way, yours as well. Romans 8:3 says, “What the law could not do since it was limited by the flesh, God did. He condemned sin in the flesh by sending His own Son in flesh like ours under sin’s domain, and as a sin offering,” Jesus Christ standing condemned is the picture of sin’s dominion over the sinner, sin’s crushing blow. You will note the Scripture is saying that God condemned His own son, God made Jesus a sin offering. Why? For the sinner to be set free from condemnation. The one who recognizes their futile efforts to appease God by their works, repents of their sin, and cast their hope only in Christ to make them right with God; God has released that person from the devastating sentence of sin, the condemnation of sin, the eternal sentence of sin. The soul that trusts Christ is no longer to face separation from God nor face the condemnation of hell. The believer in Christ will never know this wrath, for Christ stood in their place. This is why Paul begins Romans 8 with these comforting words. “Therefore, no condemnation now exists for those in Christ Jesus, 2 because the Spirit’s law of life in Christ Jesus has set you free from the law of sin and of death.” (Romans 8:1-2) How glorious this is, Christ was condemned so we would not have to be or live in the thought that we are hopelessly lost in our sin. If you have not believed on Christ to take your condemnation then do so. Repent of the thought that you are good enough to plead your soul to God. Cast yourself on His grace and mercy. Trust in Christ. 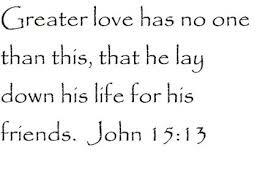 Now tell someone you know that is a Christian and will help you in the next steps of being a follower of Christ. For those who are believers, rejoice in this truth, Christ was condemned for you. Thank Him for standing in your place and dying in your place. Of course, the resurrection affirms our faith in not in vain. The resurrection seals the truth that, “there is no condemnation to those who are in Christ Jesus.” Rejoice and find yourself in a place of worship this Sunday to thank Him with others. I am a very grateful 1985 graduate of Samford University in Birmingham, AL. Samford is a very prestigious school. Not all of the graduates are. That word would not be used of this guy. Concerning my years at Samford, I regret telling most of my professors that I don’t remember them or much they said. Dr. Karen Joines is a professor that does come to mind. For one reason, Karen is a he. What was his folks thinking? Another reason I recall Dr. Joines is a story he told that is, perhaps, the best thing I learned in 4 years. Dr. Joines was my Hebrew professor for 2 years. Hebrew. It is acknowledged, little is in the memory bank. However, in the course of the courses he told a story about a squabble he had with a neighbor that lasted a long time. At the end of the story he looked at us and said something to this effect: “Men, you know what I learned through all this? It’s not such a big deal to be right.” That phrase crosses my mind quite often in various settings. Now we know that being right about many things is crucial. Our view on Jesus, salvation, biblical morals, and other like matters, it is important to be right. I did not take Dr. Joines’ story to be about such eternal matters. His story was about things that in 2 weeks or 2 days wouldn’t really matter. Things in the long run that having to be right about, just isn’t worth it. This lesson has made a difference in my life and relationships. If it is not a matter of biblical truth and principle, be more humble and not a know-it-all. Why not try it in your relationships? Who knows, your waiter may give you better service, your spouse may give you better attention, and your neighbors may not hide from you when they see you in public. As I think about my 4 years at Samford; that sure was an expensive lesson. My parents would say, “Son, you are right about that! Have you ever found you are in the middle of a very awkward situation and didn’t know exactly what to do? 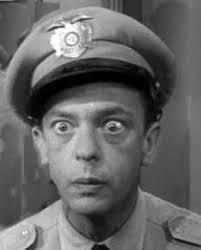 Barney Fife did. Andy planned a scheme of his own. He knew he had to turn that “desperate hunter” to other game. Andy started sending one guy after another into the drug store to try to steal Ellie’s heart. It did not work and eventually Ellie figured out what Andy was doing. Andy shows up at the drug store and Ellie starts giving him an ear full. She told him how arrogant he was in more than one way as Andy stood there speechless. Ellie concluded her rant by telling Andy she had no desire to marry him or even go to the church dance with him. In fact, she said she would go to the church dance with the first eligible man who walked through the door. Guess who entered? That’s right, ole reliable Barney Fife. Ellie heads straight for him and declared that Barney was taking her to the dance without giving him any option. The look on Barney’s face at being put into such an awkward situation was priceless. You ever been in one of those moments? 28 years of pastoring has permitted me to be in plenty of them. Most of them occurring during hospital visits. One time this lady says to her husband as I am standing at the foot of his bed… never mind, I still haven’t recovered. In those awkward moments we struggle what to say and what to do. The book that James wrote that we have in the bible has some good, sound advice. James 1:19 says, “Understand this, my dear brothers and sisters: You must all be quick to listen, slow to speak, and slow to get angry.” Come to think about it, those words are good to apply in any situation. We often do the exact opposite in awkward situations and tense moments between people. We may think we have got to settle this situation and end up saying the wrong thing at the wrong time in the wrong spirit. The next time you find you are in one of those moments, maybe Barney and his foot powder will come to your mind. More importantly however, think of James’ words. Listen intently, speak thoughtfully, and don’t let anger rule. Let’s end this insane thought that Jesus was caught by surprise by His suffering and death. It would appear that there are those who feel they are accomplishing much in exalting the humanity of Jesus by presenting such an argument. Presenting Jesus as a confused, unsuspecting victim of uncontrollable circumstances doesn’t exalt Him. It is a foolish argument. Caught off guard? The scriptures make it clear that was not the case. His love for condemned sinners and His plan to save them was an eternal plan. Let’s be grateful and respond by faith in Jesus for His saving work. We say it, we want it, we are to give it, and some of you have an Aunt by its name. Grace. Our most loved hymn of all time is entitled, “Amazing Grace.” There is a beautiful song that has been out for several months, “This Is Amazing Grace.” You may be able to think of a few more. The number of books, songs, sermons, and thoughts on grace could never be counted. 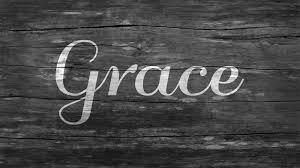 With all that has been said and sung about grace we should be reminded that there is one thing we should never do with grace. Take it for granted. That would defeat the very definition of grace – The unearned, undeserved favor of God that has been lavished on us through Jesus. It we take grace for granted then we feel we deserve it. Yet, the words deserve and grace doesn’t add up. Moody’s point is well taken. Adam received what he did not earn. What was Adam going to do? Nothing. What did he know to do? Nothing. He knew he had sinned for he and his bride tried to hide, so I guess that is what he tried to do. Hide from the God of grace. I don’t suppose he was thinking like that though. We have so much more that Adam. We have the full revelation of God’s grace, Jesus Christ. He is the fullness of God’s grace and truth. You and I need God’s grace and should never take it for granted. We need to cry out for His grace through Jesus to save us from the very fact that we are sinners and we need His grace in every aspect of life. Every aspect of life: work, finances, marriage, parenting, school, speech, driving, riding, and on and on. Have you made it a regular part of your life to give thanks for the grace of God? Have you made it an ongoing prayer from your heart asking for His grace in every situation throughout the day? The Apostle Peter tells us in 1 Peter 5:10 that God is the God of all grace. Thank Him for His grace. March 24th is the birthdate of a lady who is a great example of living out the verses cited. Francis Jane Crosby entered into the world on March 24th, 1820. Shortly after her birth, a man claiming to be a doctor treated an eye infection Fanny had with a mustard solution. The infection went away, along with her sight. Her corneas were burned by the mustard solution. This was not the end of the troubles in her young life. Her father died a year later. Her 21 year old mother went to work as a maid and her grandmother ended up being her primary care-giver during the day. What a care-giver her grandmother turned out to be. Eunice Crosby spent hour upon hour investing her time and energy into describing the world around Fanny. She taught young Fanny many things, most importantly, she taught her about faith in Christ and instilled in Fanny a love for prayer, the Bible, and having a close walk with God. By the age of 15 Fanny started attending The New York Institute For The Blind. She was a devoted student with an amazing memory. She eventually went on to teach at the school. “Oh what a happy soul I am, although I cannot see! I am resolved in this world, contented I will be. She lived out her words. She didn’t let her disability dis-able her nor discourage her. In fact, Fanny didn’t desire pity. On one occasion some soul informed her how sorry he was that she could not see. For if she could see, she could have accomplished much more. Fanny told him, “Do you know that if at birth I had been able to make one petition, it would have been that I was born blind?” She saw far more than that person did at that time. It is likely your voice has expressed some of her songs. “Rescue The Perishing,” “All The Way My Savior Leads Me,” “Safe In The Arms Of Jesus.” “To God Be The Glory,” “Jesus Keep Me Near The Cross,” and “Blessed Assurance” are a few of her songs. The Apostle Paul’s words were lived out in Fanny’s life. Her weakness, her pain, her lot in life did not cause her to feel hopeless. She allowed the power of Christ to be seen in her weakness. Her weakness became the means for the glory of God to be known to others. She loved Jesus and at 95 years old she finally “saw” him. She had stated, “When I get to heaven, the first face that shall ever gladden my sight will be that of my Savior.” Wow. Imagine that moment for Fanny when she breathed her last, her eyelids closed, and then… “For now we see in a mirror dimly, but then face to face…” (1 Corinthians 13:12a). Be thankful when next Tuesday comes, that 195 years ago Francis Jane Crosby was born. Be grateful she did not allow her blindness to rule her life. May the Lord grant us the grace to not let our weaknesses rule over us. Mowing the grass has never been one of my most favorite parts of life. While some may use the word enjoyable to describe how they feel, I would pass on that word. Exciting! No, I would normally not choose that one either. Again, I would normally not use that word. Here is a story of one of those abnormal “mowing the grass” days. This occurred about one and a half years ago. It all started as I was riding along the Alice Road part of our yard about to turn toward the Henery Drive part of the yard when I caught something out of my right eye’s peripheral vision. Our family dog, affectionately called Chloe the Great, is flying across our yard toward Henery Drive. I turn to see what she is after and it became one of those slow motion moments. My head is following her every gallop, my sight set on her graceful strides, and then it happened. She leaps in the air at about the halfway point on Henery Drive into our neighbor’s yard and the next thing I see, feathers all in the air. Immediately I said something to myself like, “For the love of Pete, Chloe has done caught a turkey.” Then, the bird tried to take off, but Chloe’s vertical jump is pretty impressive and she takes off herself and brought it down. More feathers are in the air! As I watch this unfold I don’t know what to think. On one hand I feel sorry for the bird, and on the other hand I was thinking, “Way to go Chloe, that’s my girl!” Chloe the Great has struck. On to scene 2. Chloe comes back across the road into our yard pridefully strutting with this bird in her mouth. I started yelling at Chloe, “No, No, No, Chloe.” At some point, I got off the mower and start walking towards her and she stops in the middle of our yard. She first lays the bird down and then lies down beside it. I draw closer and see how big this bird is and then see that this is no turkey, it’s a dead-gum beautiful Canadian goose. It’s missing a few feathers but still a beautiful bird. A dead, beautiful bird I believe. We go outside and call Chloe away from the dead goose so I can gather it up. All of our attention is focused on Chloe and we get her about 15 yards away from the flightless goose from Canada. As I turn to go back to the goose, the dead bird is getting up! Why the thing is not dead at all, or if it is, it is a part of the walking dead. Zombie geese! I’m sorry, back to the story. The bird starts heading back toward the lake across the street. Now grant it, the bird is wobbling back and forth like it is drunk. However, it’s moving. Crosses the street, goes into the pasture and down to the lake. I like to think this bird went back and warned the other geese to stay away, don’t land anywhere close to Henery Drive, bad things could happen. Chloe? 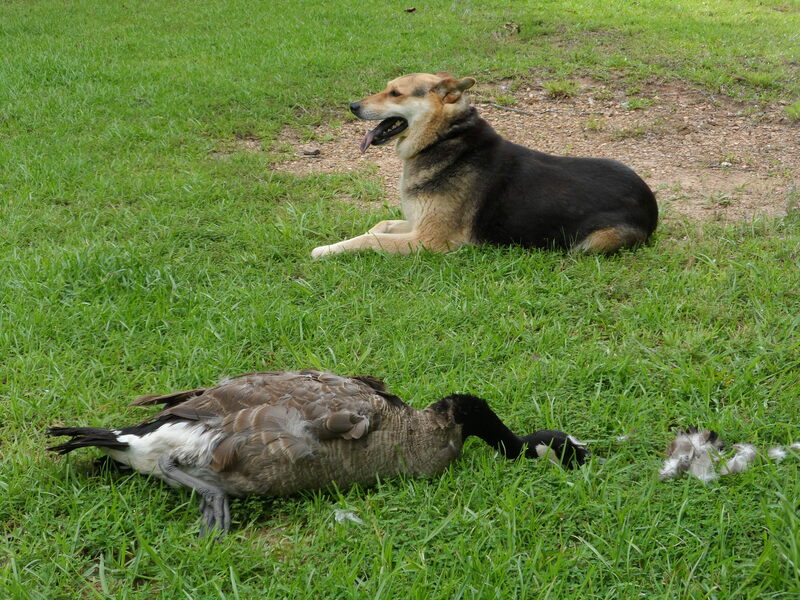 Chloe, I believe, was doing what a good dog does, protecting her family from an intruder, even if it was a harmless Canadian goose. 1. Mowing the grass may have something in store you never saw coming. The mundane can suddenly turn into a magnificent occasion. 2. There are going to be days that are “Chloe the Great” days. You accomplish great feats and feel good about your accomplishments. Even if the audience is yourself and a guy on a riding mower. 3. Some days you end up in the wrong place at the wrong time. You have a day like that goose had. The good news is you are alive. Wobbly? Yes. Stunned? Yes. Shook up from a hard day, perilous month, or year? Yes. Yet, you are on your way. You may never be the same but by the grace of God, you are on your way. P.S. Here a pic of Chloe the Great and her temporary catch.